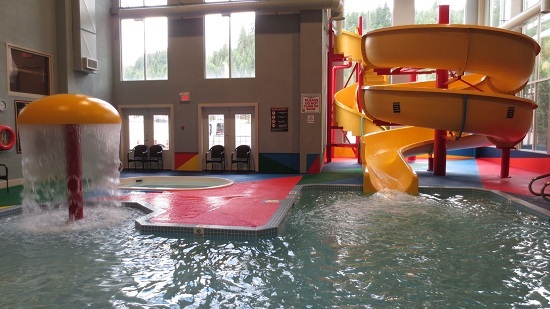 RELAX AND REFRESH after a busy day of driving, working or traveling, with a dip in our inviting pool and whirlpool – or watch the kids enjoy our exciting 142 ft waterslide! POOL HOURS: Open to our guests 7 days a week from 10 am to 10 pm. Celebrate your event in one of our fun and fabulous children’s theme rooms, and enjoy the waterslide and pool area anytime during operating hours.